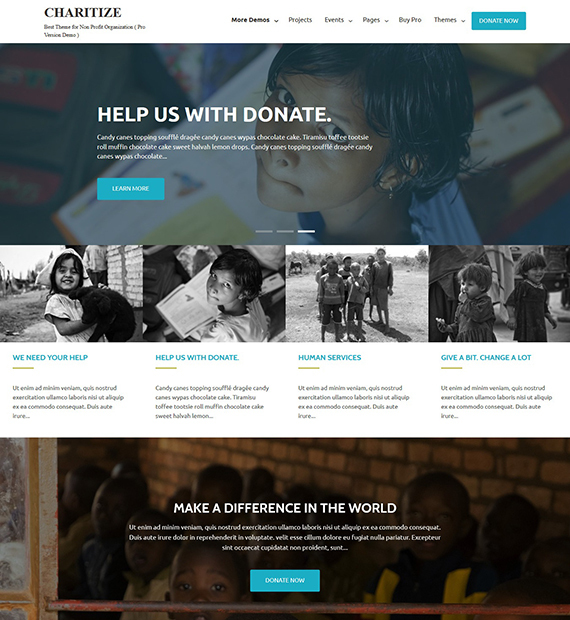 Charitize is a free WordPress theme for a nonprofit organization of any type, charity events, political parties, churches, etc. It provides you with a range of tools for effective site design. It is completely responsive as well as has a fluid layout. Hence, your website will look elegant on any screen size, and browser. Moreover, with easily customizable options you won’t have to hire anyone to create a website for you. As a result, you can use the money in your projects. The theme is translation ready and is compatible with popular plug-ins as well.